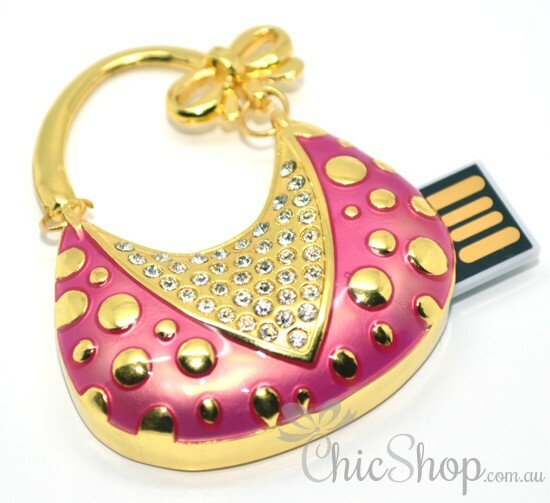 This handbag-shaped Cute USB flash drive of 4GB is a perfect designer computer gadget that can also be a fashion statement. It can be matched with your favorite jewelry collection.This USB flash drive is elegantly designed with gleaming rhinestone crystals that will be noticeable everywhere you go. 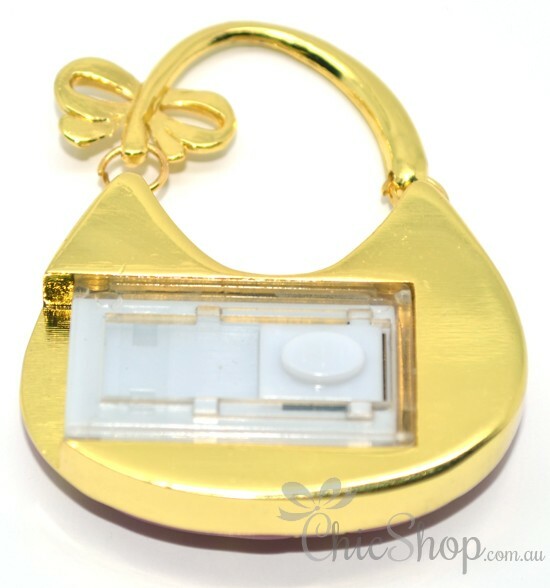 Make your friends envious with the new handbag-shaped jewelry USB flash drive.